Triveni Ghat a holy place which is situated at the convergence point of three sacred rivers namely the Ganga, the Yamuna and the Saraswati. It is believed that after taking a dip into its holy water people can come out from all those sins they have committed in the past. Water of this Ghat is capable to purify one’s body so don’t forget visiting this Ghat. Maha Aarti is another attraction of this place that attracts thousands of people towards visiting this place. Based on the beauty of this place and religious significance, this place is visited by thousands of tourists every month. Laxman Jhoola is a very long iron suspension bridge located in a popular tourist place Rishikesh in the Uttarakhand state. Talking about the length of this bridge, it is 450 feet long. 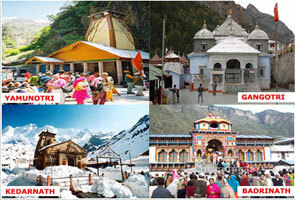 The place is acknowledged as the extremely famous landmarks at Rishikesh. This bridge is situated over the bridge of the holy river the Ganges. This bridge was built in the year 1939 and you can find the spectacular view from this place. 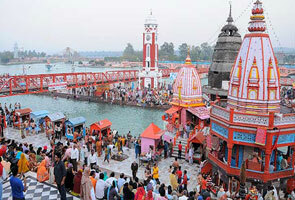 This temple is extremely renowned and situated on the east bank of the Ganges River. This temple has extensive religious significance and due to this reason it is visited by thousands of people every year. Ram Jhula is a large bridge made over River Ganges and situated only 3 kms north of Rishikesh. Thus bridge is constructed just few days before in between Shivananda Ashram and Sawargashram. The place is known for its ultimate beauty and it can be seen at this place. Bharat Mandir- A famous temple was Built by Adiguru Shankra Charya about 12th century. The place located very near to the banks of the Ganges. This temple is dedicated to Lord Vishnu and thus the reason starts behind its massive popularity. Maximum numbers of devotee come at this place for devotion. Gita Bhavan is assumed as the place of famous thinker Guru Shri Ram Sukh Daasji who is extremely famous amongst Hindu Brahmin Community. You can experience the largest crowd of people twice a year. They gather here to read the Ramayana together. Parmarth Niketan, one amongst very few Veda education provider ashrams for children. You must visit this place especially in the evening at the time of Pooja/Aarti. The time of Pooja/Aarti at this place is at 5 PM in winter and 6 PM in summer. Swarg Ashram is a very beautiful place you must visit. The place offers scenic surrounding. Majority of temples can be found at this place and you’ll feel the actual beauty at this place. Besides, the place is also acknowledged as for its healthy and satwik living environment. This is the place where several Yogis and Rishis used to do Tapasya for the God. Neelkanth Mahadev Temple is located only 38 kms away from Haridwar and dedicated to Lord Shiva.The place is visited by majority of devotees every year due to its immense religious significance. As per the mythology, this is the place where Lord Shiva drank the venom produced during ‘Sagar Manthan. 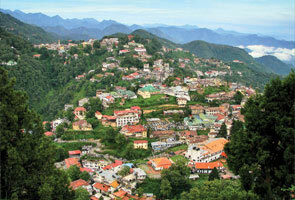 The place is located at only one hour drive from Rishikesh. This was the place where Saint Vasishtha Meditaed on the banks of the famous holy river The Ganga. Thus place is assumed as the finest place for meditation. 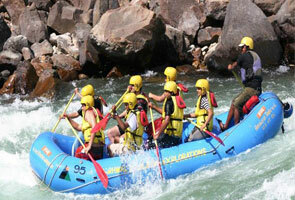 Rafting, Rappelling, Camping, Cliff jumping, Rock Climbing, Trekking, Kayaking are few activities can be experienced by tourists.